Earth math-geography IRON WAR and ACCIDENT reports --> Africa ONE, Africa ONE signal to BALAD An-26 ......... over and out --> Please respond. The above reminds usof the context of existence on EARTH. Galileo book title " Two Chief Worlds Systems"
Charles Dickens "Tale of Two Cites"
Watson & Crick '' Double-Helix Models"
Thus let's look at the above headlines from 2 views ..... like a duality principle. Here, we see the Earth geology iron core, the North/South Pole magnetic DATA FIELD ... an earth computer magnetic tape using the field flow lines lines, the interatction with the magnetic field with IRON Office buildings and IRON Heme group Fe(ii) ion humanoid structures with the well-known name --> the BORG-humans..... as displayed on television by Captain Picard. The 2 An-26 signaling accidents involve the Margaret Mead atomic numeclear family .....atomic anthropology problems and conflicts ...... and the major diplomatic communication problems of Fe = Ferrous oxide atomic government and its 26 iron proton atomic English language alphabet letters and their WORDS and social engineering policy message to the atomic extension in bio-physics format known as humanoids. misinformed F e=Federal governments and their arrogant citizens who have disregarded various SOCIAL CONTRACT with Nature ...as first outlines by John Locke and others. The 2007 Africa One Antonov An-26 crash occurred when a twin engine Antonov An-26, belonging to the Congolese air carrier Africa One, crashed and burned shortly after takeoff from N'djili Airport in Kinshasa, Democratic Republic of the Congoon October 4, 2007.
aboard, but more boarded the flight shortly before takeoff. number of survivors to two. and wave mechanics theorists .... ..the 2 surviving groups with functional atomic brain cells. regarding the SCIENCE WARS of the last 15 years ...that officially began around 1995/1996 with the Alan Sokal announcement about the ARCH DUKE (the Ferrous oxide agent code) Fer.dinand project .....from year 1914 .....now at DUKE University. OXYYGEN Molecule continuum of 16 electrons and molecule weight 32. We see the identical OXYGEN and IRON ...WAR message at the Oklahoma City bombing with 168 dead and the IRON Fe=Federal Office building destroyed. Every high school science student AND college freshman chemistry student recognizes that 168 --> 16 atomic mass oxygen with 8 electrons. Every computer programmer and computer systems analyst in the world recognizes 168 --> base 16 hexadecimal and 8 data bits = 1 BITE of the canniBAL subroutine discussed by algorithms agent (AL GORE) at the canniBAL conference in BALI, Indonesia. of the WORLD Trade Center ( Center of MASS). The 2007 Balad aircraft crash was a 9 January 2007 airplane incident involving an Antonov An-26 airliner, which crashed while attempting to land at the U.S. military base in Balad, Iraq. The crash killed 34 people aboard and left one passenger critically injured. Officials claim the crash was caused by poor weather conditions, but other sources claim that this is a cover-up. Turkey --> T + Ur + Key --> Theorists uranium 235 isotopes(t) theory of pes(t) ......and BudaPEST and Buddha data PEST errors,etc. thus the periodic atomic table of elements and the evolution of atomic religious thought. IRAN --> the q-variables of IRAQ plus IRAN = Independent Random Variables ..of the new expressions of PLANET EARTH with Earth quantum and wave mechanics ......and in Europe...Bavaria = Base variables for mathematical-geography, bio-math and existential matters. _TOM M.Apostol mathematics applications projects .... . Thus we see a variety of methods used by university administrators and others to CONTROL the 11-dimensions of string theory for their personal / group objectives ......as they refuse to help understand the SCIENCE WARS and the casualties. 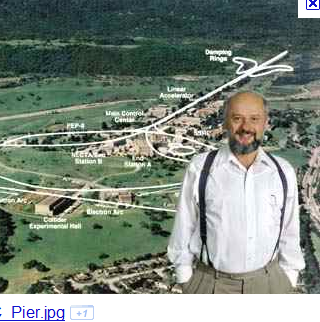 The mathematical-geography ... EARTH wave mechanics WAR took place near FermiLAB, Batavia, Illinois. The 2nd event.... COLE base 2 was at COLE Hall ...with the Halls of Montezuma song for the Marines of Paris ISLAND to pay attention to Paris in the Captain Janeway books ....Paris = Par + Is = Parallel Information systems. NODE = Norway and Demark .....and the UTOEYA tragedy of UTOE = Unifoed Theory of Everything which includes the SCIENCE WAR casualties of IS = Information Systems --> IS = ISLAND of Utoeya and the parallel to the Fantasy Island televison show. human species as the SCIENCE WARS are in their final phase. Balad = BA + LAD = Batavia lads/engineers/ men/gentlemen ...........MESSAGES continue WAITING in year 2012. Deep Space NINE television and paperback book messages waiting. It's an interesting world......the atomic / astrophysics continuum and the social science and economic activities within that continuum. The Batavia bio-physics electromagnetic coupling constant 137 communications problems with the FermiLAB atomic processing layers of DNA nitrogenous bases and the Standard model. The electromagetic coupling constant 137 has been in many newspapers in November 2011. The SIGNAL has been ignored by universities and governments research agencies ...since they ignore the existence of SCIENCE WAR battles and the resultant student casualties. The newspaper data suggests a major bio-physics string defect .....that is string theory applied to atoms that combine to form molecules, and molecules become 4 DNA nucleotides (Nitogenous Bases ) ...... and this construction process continues ..until we have ...say ..an atomic bio-physics humanoid that is 6.67 feet tall and weights 200 pounds and plays basketball ...specifically, his Nitrogenous BASES (the orginal NBA) belong to an humanoid sports organization called the NBA ...that refuses to acknowledge the original NBA of Mother Nature. b) the information string from atomic levels to larger levels ...and the information string ..in modern times appears in college textbooks in genetics, molecular cell biology, math ,etc. At some point in this information string is a defect...called social science cheating and bull-stories ....and the Margaret Mead nuclear family ....atomic anthropology is now involved in a SOCIAL SCIENCE war ........and scientists will not help clarify the situation. Let''s look at some mass communications siganls. Mass communications is televsion, radio, print, Internet,etc. Mass communication is really atomic mass communcations...the messages of protons, neutrons, and electrons VIA humanoids with an atomic brain bio-computer with output devices .....the arm/wrist/hand for writing output and the LUNGS provide nitrogen/oxygen carrier atoms ...that carry English nouns/verbs to the mouth output device. From those human source outputs.......PRINT or copper wire televsion electrons/optics may help distribute the message. Above, using the atomic English language of the 26 protons of ferrous oxide atom...and their 26 atomic alphabet letters ......we can translate the message of the Margaret Mead nuclear family and its atomic social anthropology messages of the s,p electron orbitals VIA s,p orbit -->abbreviated as ......s,p, ort --> sport of basketball and its information string . Internal string theory starts its information string with the s,p orbit .....to molecules to the DNA Nitogenous Bases ...to human size messenger Nitrogeous Bases ( NBA) --> to the string end ... s,p, orbit = sport. The human NBA insult their atomic, molecular, and DNA heritage; they refuse to acknowledge its existence and the SCIENCE WARS. In the addition the basketball players UNION denies the existence of algebra set theory. 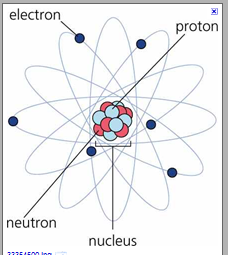 The atomic/astrophysics continuum is a union of many sets ...known on the South side of Chicago as the UC = Union of Concepts and Concrete ideas. Thus we see that the UNION has omitted many of the sets of other humans ...that are part of the NBA continuum ...a section of that contiuum being Nitrogeous bases (molecule size) THRU NBA ( human size). A binds with T G binds with C.
Thus we have the NBA relationship to DNA ...... a molecular cell biology SIGNAL, a biochemistry SIGNAL...that universities choose to ignore. University basketball teams are use to manipulate DNA. The atomic s,p orbital --> transform --> sports ....... is used by basketball coaches to send body language commands and optical /eye commands to the human brain bio-computer. University administrators allow any nonsense instructions to be broadcast on television during the college social science /biochemistry playoffs. Penn State and Syracuse University big song-and-dance trial of Nature's undercover agents like Jerry Sandusky. Above, we see the p = processing layers (Players) that are demonstrated by sports players or theater players,etc. .........." The world is a STAGE and we are the Players"
Today " The WORLD is a stage and we are the atomic DNA Processing layers". related to EARTH LAB specimen humanoid with experimental label ..proper noun related to the Nature's project parameters for 137 --> one 37 --> one at 37 degrees Celsius atomic body thermodynamics. Thus we wonder who that might be? Of course, that is an odd question. We need more newspaper physics communications data! Below, we see the message NBA --> Nitrogenous Bases in Batavia, Illinois. BUT, do we have sufficient clues to perhaps...take an educated guess as to the identity? Who is the receipent of all these messages and is NOT getting the messages. Perhaps, his associates in the SCIENCE community are holding out on him. For example .....of the thousands of students and professors at the University of Chicago, Chicago Circle Campus, and IIT ......... someone must have seen the signals in the newspaper. Why won't the Office of Science, the National Science Foundation, and the world physics associations ..tell him of the possiblity...tell him the odds? Okay, who knows why everyone is playing DUMB? Is it the influence of the 1960 television show ' I've got a secret"? What other signal 137 WORLD physics signals exist? Thus Nature sent a coupling constant message VISIBLE to the retail shoppers. But, the influential power of the electromagnetic coupling constant gets no respect .... hence, Nature's Hierarchy Problem regarding communications and acknowledgement of the Margarrt Mead atomic anthropology forces ...that are NOT respected by the established ELITE. The atomic NBA --> Ba = Basketball Ba=Bases in Ba= Batavia sports zone of the EARTH orbital theory. Below, another view of standing Pier ODDONE of the Standard model group. STAND up and please be counted .....is something new happening ? Thus we have an interesting atomic bio-physics puzzle...that is a Margaret Mead nuclear family puzzle from Nature ..that we ought acknowledge ......that it exists! Then ...we ought try to undertand the atomic social engineering messages from Nature. Some political protests, crimes, shootings, wars, etc. by humans.....are really atomic protests of the Margaret Mead atomic nuclear families VIA the human vehicle/ the human atomic feelings expressor/ the human atomic messenger. Atomic social anthropology families are listed in beginning college physics and college chemistry textbooks. The families comprise vertical columns in the periodic atomic table of life and thought. Thus we have the Margaret Mead atomic family ... anthropology shootings at EARTH LAB geography sites. Let's look at a basic message ...a popular English language story taught to children ...including myself ...long ago. 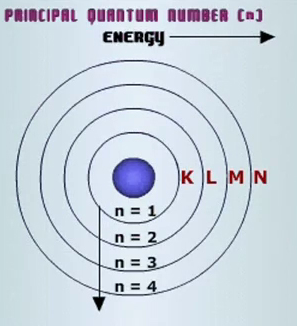 Above we see the principle quantum number 2 (also named the L shell). 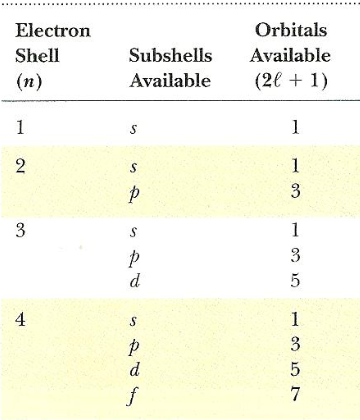 Within the L shell we have the p subshell with 3 orbitals. Let's look at table below. Orginal VIEW --> within the L shell we have the p subshell with 3 orbitals. Thus we have messages regarding the modern Margaret Mead nuclear family . . . . that is . . . . . atomic social anthropology, atomic social science, atomic economics, atomic political science, etc. Thus, in sense , we have quantum leap in the abilities of particles to express their thoughts regarding modern society and social engineering. Thus we have CLUES to an interesting puzzle ...... a signal from Nature......that we ought understand. 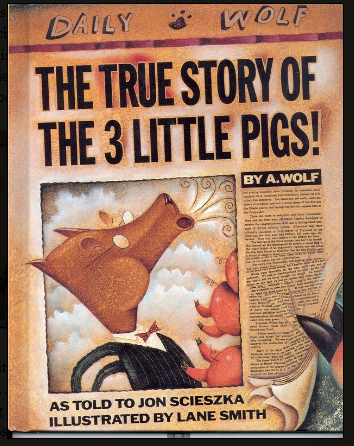 What else did the 3 Little Pigs physics fable explain? Many physicists feel that string theory will ultimately be successful at resolving the hierarchy problem of the Standard Model of particle physics. Although it is an. Do we have fundamental coupling with the 3 Little Pigs ?